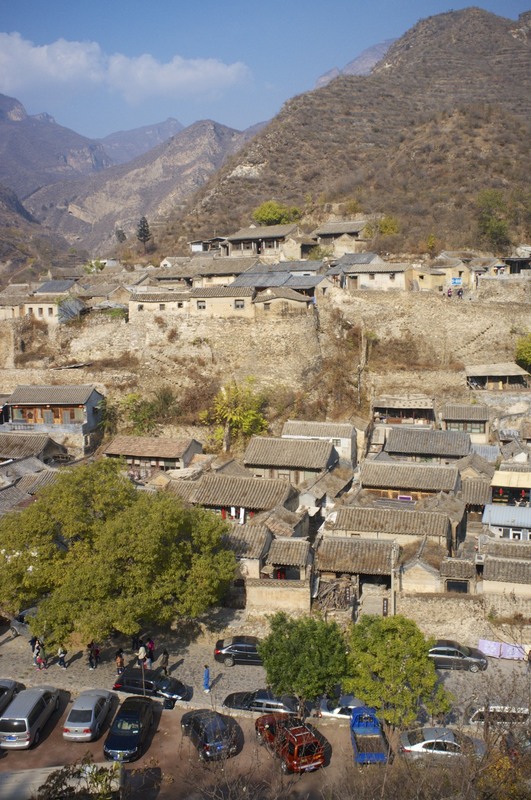 Chuandixia Village lies about hours drive into the mountains West of Beijing. It is a small village of courtyard houses, which was located at an ancient trade route and served as a resting place for traders before they reached the Beijing markets. 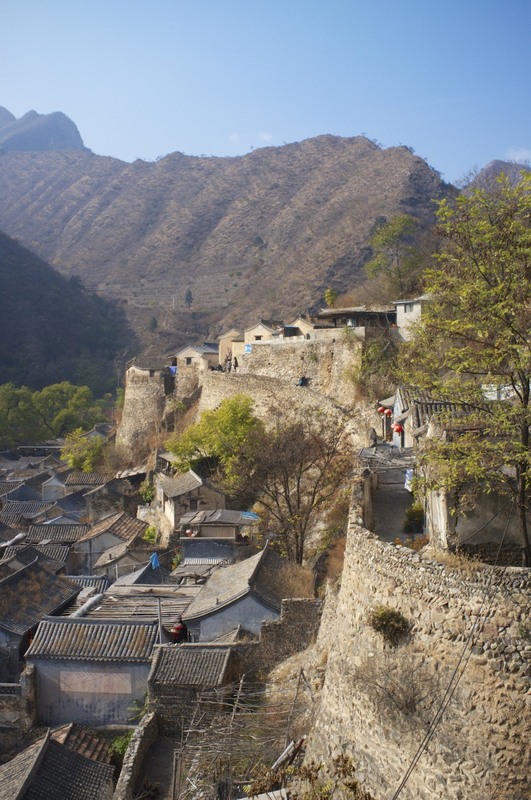 It was also one of the strongholds and hiding places for Mao's troops in the Anti-Japanese war. After 1949 the village fell into economical hibernation until it was "rediscovered" by photographers, painters and film crews in the 90s. It is a nice day trip into a beautiful mountain landscape. The roads are curvy and it needs a bit attention, as some drivers do risky maneuvers overtaking. But the location is easy to reach. We actually did it in a company outing, driving in a convoy of 6 vehicles. Chuandixia village as seen from the hill on the Southern side of the valley. Trail marked on Google Earth, showing the way up to the viewpoint on the village. You may download the GPS track including the driving route by clicking here: in gpx- and tcx-format. The Southern branch of the mountain route leads to an excellent rural restaurant. General location of the village in relation to Beijing city.